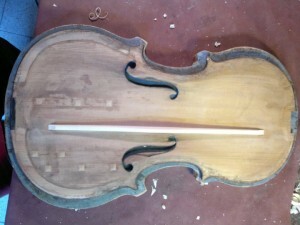 Violin and old instrument restoration is an integrant part of my job. Restoration differs completely from construction. Patience and technical features must rule!!! 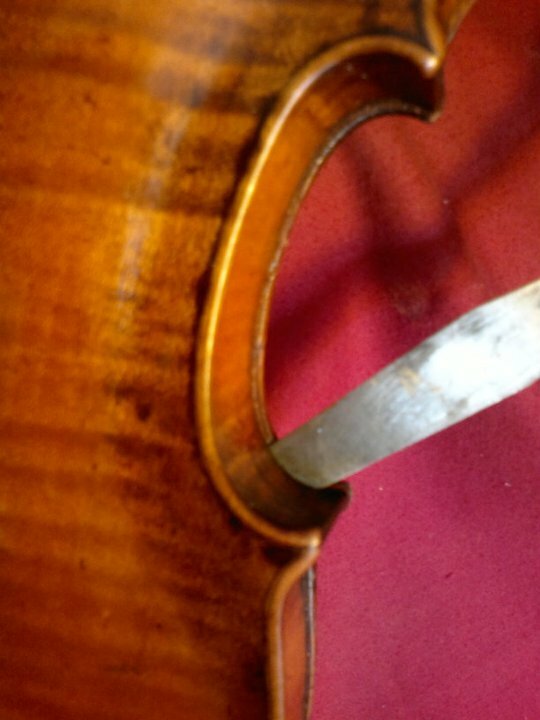 Because of the economical value of the instruments, you have to pay so much attention along the all process for preserving their original features. I think the restorer has to keep firmly in his mind that he’s defending a work of art. 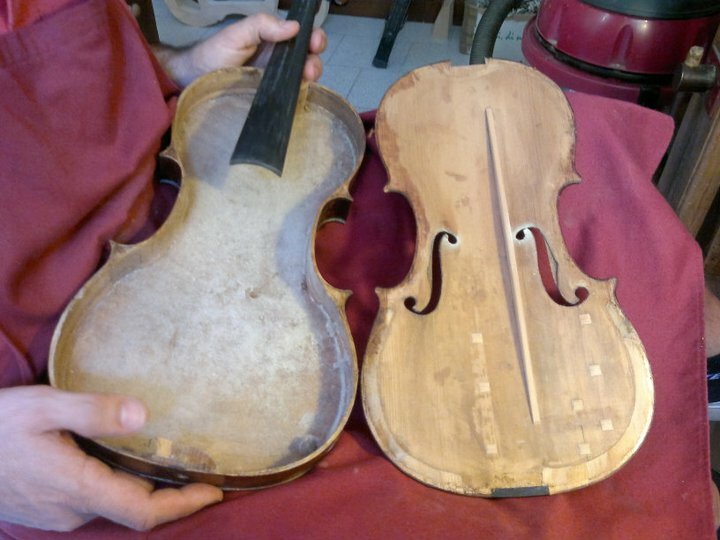 Restoration is as exciting as making a new instrument because it puts together technical innovation (x-rays, dendrochronology…) and classical tradition. Musicians from all over the world have taken their violins, violas and cellos to my lutherie workshop. 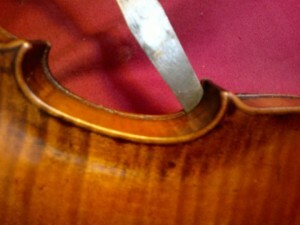 In this picture, the opening of a belly of a nineteenth-century violin for the bar replacement. In this image, the open board and the old bar. 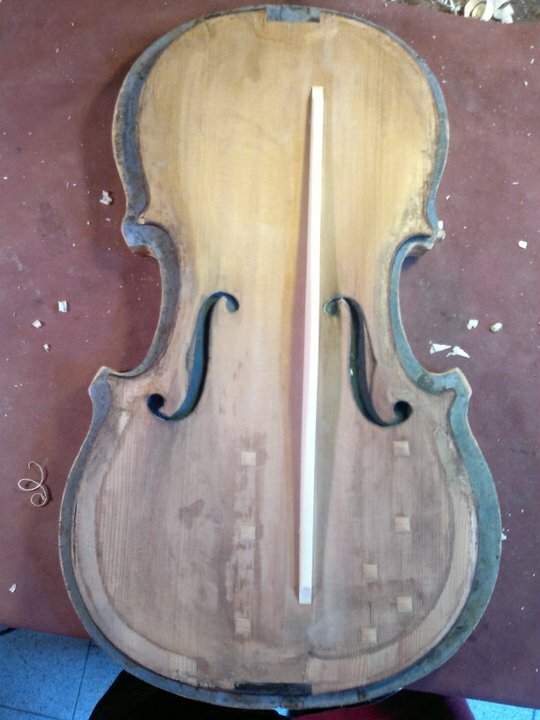 Every time you open a secular instrument, you feel like it was the first time: its story and adventures come alive! The restored bar. The bass bar is that thin bar on the right. It supports, from the inside, the board and bears the pressure due to the strings and the bridge.